The founding of our country was influenced by men who brought from their homeland the Masonic heritage. The Masonic brotherhood stood strong with George Washington, Benjamin Franklin, and Paul Revere and continues to this day. The men of Freemasonry are all around; from famous and well known people to the everyday guy. The Masonic brotherhood exists. Freemasons are people who always seem to have the best outlook on life. Within the lodge there are no social or economic levels; we are all the same. A successful organization's future depends upon how well this team of lodge officers work together to provide Masonic Officer training. In the business world, an organization is built around Presidents, Vice Presidents, General Managers, Regional Managers, Supervisors and Workers. Each plays an important part in order for the organization to be profitable and successful. In essence, the Masonic Lodge Officer duties and Masonic Officer Training structure, much like their counterparts in the business world, shoulder the Lodge Officer Responsibilities which makes a lodge successful. The Lynnhurst Turkey Dinner is traditionally among the first functions attended by the newly installed Most Worshipful Grand Master of Masons of Minnesota and his Grand Line. The 85th Annual Lynnhurst Turkey Dinner will be held on April 16th, 2019 at the Lost Spur Golf and Event Center - 2750 Sibley Memorial Highway, Eagan, MN. A gathering for the purpose of adjusting your attitude will began at 5:30 p.m. and dinner promptly at 6:30 p.m. 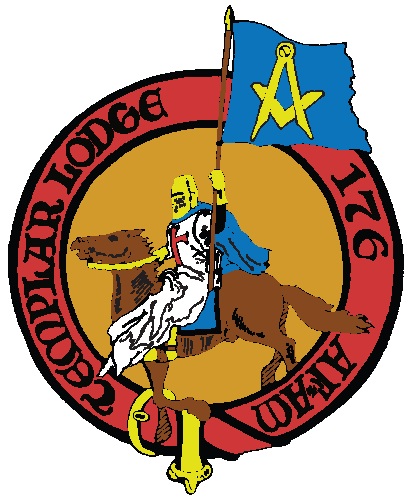 This dinner is designed to honor the newly installed Grand Master, and to bring him before the many Master Masons who are anxious to hear his program for the coming year. This dinner is well attended by Master Masons, Past Grand Masters, Grand Lodge Officers as well as many Scottish Rite, York Rite and Shrine Luminaries. The mission of Freemasons is to engage and inspire good men, who believe in a Supreme Being, to live according to the Masonic tenants of Brotherly Love, Relief, and Truth. Freemasons value Freedom, Integrity, and Tolerance above all else. Freemasons champion the liberties and values outlined in the founding documents of the United States of America. Freemasons strive to be honest, truthful, and reliable, living in an honorable and upright manner. Freemasons embrace the diversity of opinion, religious, ethnic, cultural, social and educational differences.